For anyone who’s just purchased their first copy of Final Draft, the notion of the spec script still feels like the equivalent of a modern-day gold rush. People move to the West Coast every day in pursuit of that imagined windfall: one agent or producer reading your script, at just the right time and in just the right mood, which leads to millions of dollars, your characters inhabited by A-list actors, and the second principal credit on a feature-film crawl. The allure of Hollywood, regardless of the wounded economy, is as strong as it’s ever been. That said, perhaps due to that economy, and Hollywood’s narrow focus on producing $150 million-and-up tent-poles, the spec script is no longer enough to get your project up and running. So what else do you need? Cue the proof-of-concept video. Simply stated, a proof-of-concept is a scene from your feature film script, shot and fashioned into a short. Its purpose is to provide an example of the writing, directing and cinematography that will go into the feature, as well as demonstrate the film’s viability on the big screen. 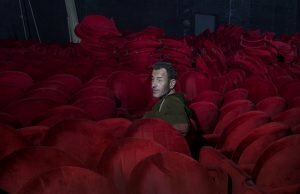 The biggest hurdle you will encounter these days, as you set about a career in directing, is the Catch-22 that is intrinsically involved in the pursuit. It’s not easy to direct a short film, but it is a great deal easier than directing a feature film. So, the question is: How do you get to direct your first feature film? And the answer that everyone who asks that question gets: You have to direct one first. Well, that doesn’t make any sense. After all, how did the directors who are currently working in the industry get to be where they are? The proof-of-concept is, in the present era, the entrée that humors such a thing—it allows investors to hedge their bets and limit their risk. This business is currently all about risk management. 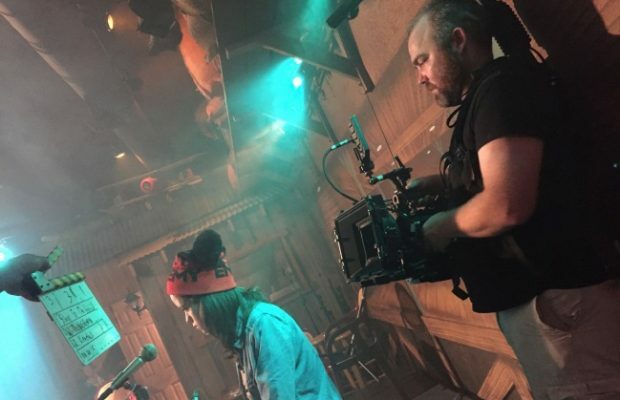 In the current climate, it’s safe to say that you probably cannot direct your feature script unless you have already shot a proof-of-concept, particularly if you’re a first-time feature director. I thought that was convincing enough as an argument, but others did not. When it comes to funding films, every investor is looking—and looking hard—for a reason to say “no.” It is a habit of risk-avoidance, and employing a director who has never directed a feature film is at the top of their lists as something to avoid. And the term that consistently reared its head was “proof-of-concept.” At the time, I had no idea what that meant. I hadn’t realized that the reliance in recent years on preexisting material—branded awareness, if you will—in Hollywood didn’t merely extend to blockbusters, it had also reached into the world of independent film. In 2011, filmmaker Nicholas McCarthy directed a short film called “The Pact,” a character-driven horror film that delved into subject matter like child abuse and atheism. It was accepted to the Sundance Film Festival and ultimately led to him making the feature film version of the story. I spoke to McCarthy recently about the feature version of The Pact, and the events leading up to making it. When I’m not making films, I’m teaching them, and I tell my students that if they do achieve some level of success with their short films, they should be prepared for the first, and often last, question they’ll get from a producer: “Have you written the feature screenplay of this?” At that point, the answer should be one of two things: 1) “Yes, I will send it to you tomorrow;” or if they haven’t written the script: 2) “Yes, I will send the script to you by the end the week” (and then spend the next several days and sleepless nights writing the damn thing). I highly recommend the first. Nowadays, when I take out a script that I want to direct, I have a presentation of my visual references, a rip-o-matic or sizzle reel (to wit, essentially a trailer for the film using clips from pre-existing films that share a similar tone and look) and a proof-of-concept to accompany it. You have to invest in your script by literally making a portion of it, if you want to be taken seriously as the potential director of that script. For Detour, the proof-of-concept paid off. Because it was about one man trapped inside a car, most producers were concerned that it might bore the audience to tears. I had to prove that it would be visually compelling, and I was ultimately able to do that. 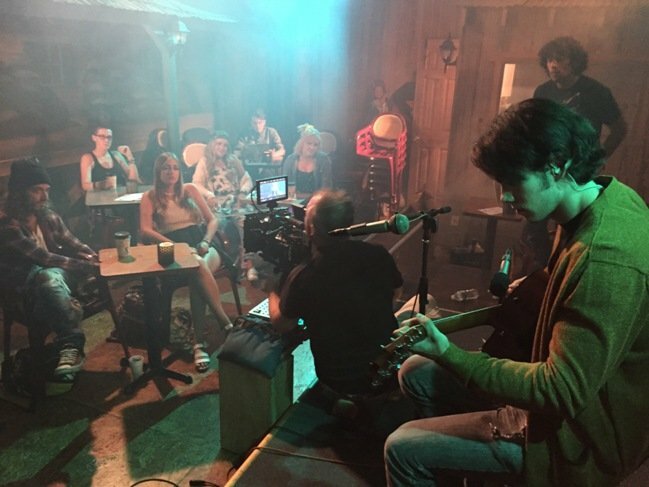 Shooting a few scenes, including the film’s opening sequence, enabled us to procure funding and the necessary resources needed to make the feature. As the prospect of making my fourth feature film nears, the proof-of-concept has become, for me, just another necessary step. 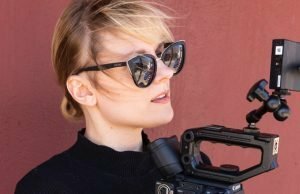 It is no longer just a requirement for first time feature directors; it is pretty much de rigueur for any filmmaker seeking financing for a movie. My next film, No Alternative, is by far my most personal. It’s a coming-of-age film, a genre that Hollywood tends to shy away from. This is precisely why I’ve decided, for the first time, to go the route of crowdfunding. In this ’90s era period piece, Thomas Harrison is a teenager who’s determined to start his own grunge band after the suicide of Kurt Cobain. Meanwhile his younger sister, Bridget, boldly rejects her brother’s music, and the music of an entire generation of slackers, by taking on the persona of a gangsta’ rapper named “Bri Da B.” Is it a sign of her mental collapse, or sheer artistic genius? William Dickerson is a filmmaker and author whose debut feature film, Detour, was praised by The Village Voice, The Examiner and The New York Times. He self-released his metafictional satire, The Mirror, recently completed his third feature, Don’t Look Back, and is currently crowdfunding for his fourth feature, No Alternative (based on his novel by the same name). His latest book, DETOUR: Hollywood: How To Direct a Microbudget Film (or any film, for that matter), is available now. Follow him on Twitter and Facebook, and visit his website. 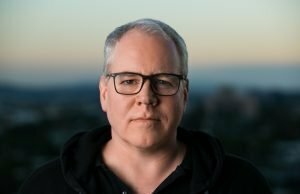 For more on Dickerson’s crowdfunding campaign, and how his proof-of-concept plays a critical role in it, visit https://igg.me/at/noalternative. Top image features actress Jennifer Levinson and DP Rob Kraetsch on the set of No Alternative. I wonder if you could share your experience at the AFI Conservatory. Looking at admission and life costs to go through the program, and being a Canadian candidate, is it worth it?